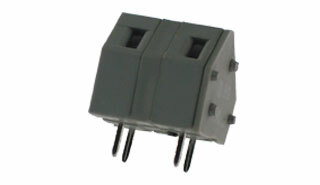 EBY supplies OEMs LED connectors used throughout industry and lighting applications everywhere. 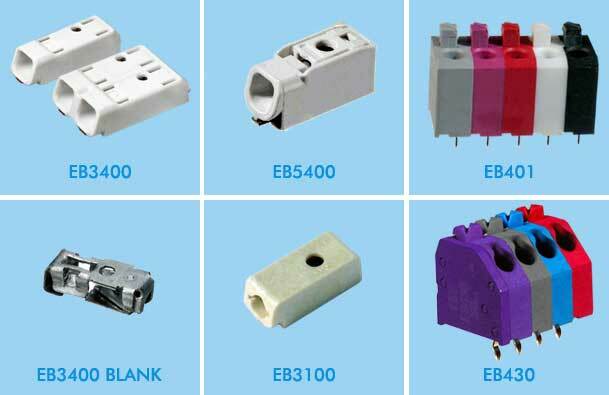 EB3400 — Lowest profile in the industry! 1 & 2 Pole Connection Jumpers. Complete Design Services - Tell us your requirements and EBY can design the efficient, economical component you need. Manufacturing For You - With EBY's manufacturing network, we can offer quantities and delivery times at very competitive prices. With CAD/CAE, Solid Modeling and Rapid Prototype Techniques, our engineers can bring your concepts to life in as little as one week's time. 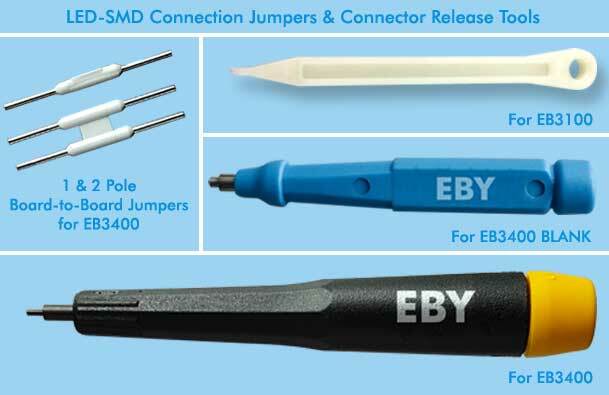 EBY Company has over 90 years of experience designing and building custom connectors, custom cables and cable assemblies. We can build custom length and custom wired cables for you in quantities and schedules to suit your needs. Contains dimensional drawing, full part number and component specifications. 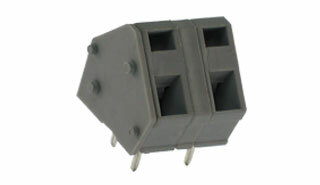 EB530 Easy-install block Self-terminates wire - just insert! 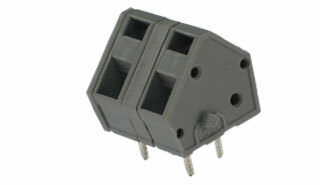 EB4885 for OEM configurations Super-easy field wiring! All information on this site is for reference. Always perform your own tests and acquire samples and further information to determine product suitability. While we make effort to provide accurate information, we cannot be responsible for errors either of omission or typographical. EBY Electro, Inc. assumes no responsibility for the use or suitability of any product. Just tell us what you need - you won't believe the service!